Cost Per Action/Acquisition (CPA) marketing is an internet marketing strategy where an advertiser pays for a specific action taken by a potential customer. The payout from this action is sent to the affiliate who sent the potential customer to the advertiser's webpage if the potential customer completes the specified action. The action can be anything from actually buying something to simply filling out a form. As an affiliate, you can benefit from earning a small commission each time a customer you send to the advertiser's page completes the action. If you have your own website with good traffic, or think you can set one up, it's relatively simple to monetize it using CPA marketing. The beauty of making money through CPA is that you can earn money creating content that you’re interested in. And you earn it while you sleep. It’s relatively easy to get started in CPA. And this guide will take you through the process step-by-step. In a month from now you will have money in sitting in your bank account! I must stress before we start: don’t skip content unless you already know the content that I’m discussing. CPA Marketing is a simple system where you get paid for getting someone to complete an “action”. CPA stands for “cost per action”. Entering a competition. Such as an Amazon Gift-card giveaway. Downloading an app. Clash of clans, or another popular mobile game. Signing up for a freebie. 1. Think about enrolling in an internet marketing course at your local community college or Lifelong Learning center. This is essential if you have never done Internet marketing before, as many of the terms associated with CPA marketing will likely be unfamiliar to you. In these courses, you will become acquainted with the major types of internet marketing, including affiliate marketing. 2. Consider getting an Associate's Degree or Online Certificate in Internet, Digital, or Online Marketing. If you want to build up a good knowledge base and you learn best in an instructional setting, then signing up for a 1 or 2 year program may be your best option. In this program, you will learn how to start a career as an online marketer, including getting started with CPA marketing. Relatively inexpensive (or free) in comparison to regular books, ebooks about technical aspects of marketing are common. Consider titles like "Newbies Guide to Mastering the Secrets of CPA Marketing," "Newbie 411: The Official CPA Marketing Beginners Guide" and "CPA Marketing Simplified." Try searching for these titles on a large eBook website, like Amazon. 4. Understand how you'll make money. With all of the specific information involved with CPA marketing, it can be helpful to have an overall picture of how you can make money doing this. 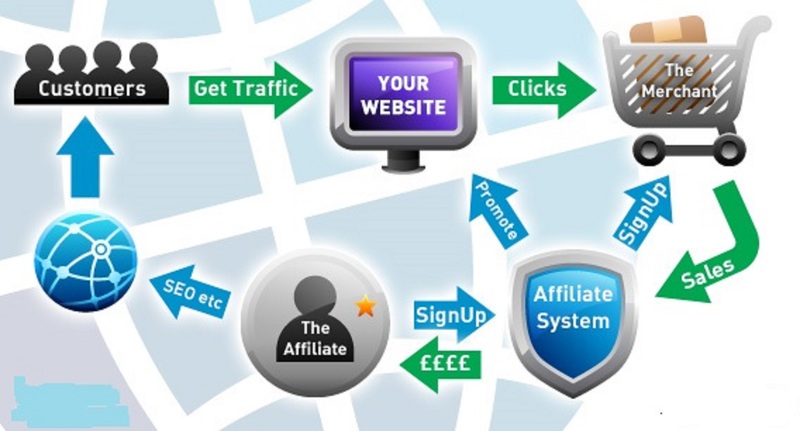 Essentially, you are creating traffic (a flow of visitors to your website) that you redirect to an advertiser. From there, if this traffic (now potential customers for the advertiser) decides to opt in to the advertiser offer, fill out a form, or buy the advertiser's product, you earn a set commission. In many cases, this commission can be anywhere from $1 to $6 per lead (customer action), but in some cases can be as high as $22. You may want to start with a blog in a subject of your choice. In order to become an affiliate and participate in affiliate marketing, you need to have a website with significant traffic. Many affiliate marketers start by creating content and posting affiliate links on their page. You'll have to make sure the website is yours and doesn't ban affiliate marketing by agreement with the hosting service. See how to make a website for more information. You will need to cultivate the ability to start new websites, buy domain names, host pages and make landing pages. These skills will become important as you begin CPA marketing. PPC advertising allows you to drive traffic to your site by placing ads on other, relevant websites. You pay the ad provider a small amount for each time a web user clicks through your ad to your website. You can learn how this works through YouTube videos, online tutorials or by trial and error. Set up an account in Google AdWords and Microsoft adCenter, and pay for some ads that drive traffic to your website, in order to practice while you learn. Pay-per-click advertising can get expensive quickly, especially in a keyword bidding war (when another website or websites also wants to advertise for the same keywords). You also run the risk of routinely paying for clicks that don't lead to sales for you. Always analyze these risk before getting started in PPC. 3. Learn how to use the channels that are often used for CPA marketing. The best way to become a CPA marketer is to learn how to drive traffic to websites. The following are ways that people learn to drive traffic. Practice creating and promoting fan pages and groups on Facebook. If you know how to get "likes," then you are on your way to driving traffic to a lead landing page. This usually takes a passion for staying in touch with followers and trying new creative social media strategies. Learn how to make and buy Internet ads. If you have graphic design skills and you don't want to create content on a blog or YouTube, then this may be the best option for you. You can find prime ad spaces, through services like BuySellAds, and purchase the ad space for a period of time. If the ad is targeted successfully, people will click on the link and type in their information, giving you leads. You will need to subtract the cost of the ad in order to figure out your return on investment. Use all of the methods you have learned to try to increase traffic to your website. You'll want to try to bring on a specific type of traffic that is marketable to CPA networks. This type of traffic, that you can turn into leads for your advertisers, is called "targeted traffic." It involves targeting a certain need or type of person and offering what they need or or are looking for. You will not be able to gather leads if you don't know how to bring specific people to your website. For example, you might have a blog or website that reviews phone cases. You would want to target people searching for things like "best iPhone cases" or "durable phone cases." 1. Build up an affiliate marketing "portfolio"
Launch some marketing campaigns and keep records on your most successful efforts. These can be PPC campaign or use any of the other strategies mentioned in the previous part of this article. To track your progress, keep a record of the number of visitors to your site and the turnover rate to other links you post on your website (the percentage of visitors that click through to other links rather than simply leaving). These other links can simply be ads you've sold on your website or any other affiliate program, such as Amazon Associates. Some CPA networks are competitive, so you should be able to talk, write about and prove your worth while applying. Amazon Associates is a program that allows you earn a percentage commission on sales of products on Amazon.com by posting links to those products. You earn a small commission each time a product you link to is bought. Also known as verticals, these are the specific markets in which you will be a successful CPA marketer. This is essentially what your targeted traffic is looking to purchase and a collection of their interests. Example niches include health and fitness, technology and business opportunities. To get started with CPA marketing, you'll need to find an advertiser offering CPA that is relevant to your blog or website and, most importantly, to your traffic. The websites http://odigger.com/ and http://www.offervault.com/ both allow you to search aggregated CPA offers and find one that meets your criteria. Once you've found one you like, you'll have to join the posting's network to begin marketing for that advertiser. Be sure to check that the offer is available in your country and for your traffic type (email, website, etc.). You'll also want to look at the landing page (the page your link will direct traffic to) to be sure that it looks legitimate enough that your traffic will actually use it. After you've found a good offer, you'll need to apply to the proper website to take advantage of that offer. These sites include MaxBounty, NeverBlue, C2M, ClickBooth, ROI Rocket, Azoogle, Affiliate and Hydra. Take time to fill out your applications carefully, since many first time CPA marketers get turned down. Be sure to include a phone number so that they can contact you, otherwise you might be immediately rejected. If you are just starting out in CPA marketing, you should note that on your application. You should also specify the ways that you are learning and your past affiliate marketing successes. Call the CPA network after submitting your application. This simple act will show that you have great follow through, and it may increase your chances of getting accepted. Once you are accepted by the CPA network, you're ready to begin marketing your advertiser's product or web page. Find a way to seamless integrate the new CPA material into your old website. That is, don't make it look overly commercial, like you're trying too hard to advertise. For example, you should avoid banner advertising whenever possible. Now that you have the basic gist of how CPA works, it’s best you signup to a CPA Network. The CPA network is the company that connects you to the advertisers. They handle the hard work and the also provide the content lockers that I was talking about. Most of them require an application process, to get ahead quickly you should sign up to one as soon as possible, be truthful and fill it out to the best of your ability. Hopefully you’ll be accepted by the time you’ve read this tutorial! CPA Lead is a web and mobile PPC advertising network supplying CPA lead gen offers to Android & iOS Mobile Apps, Content Lockers, Websites, and media buyers. Not only did we create the first Offer Wall we also created the first Content Locker. Since the inception of these tools, our development team has been improving and optimizing our monetization methods based off the feedback of our members. They are first and foremost a network that listens to our members as we believe your feedback is the most valuable commodity they have. You are the eyes and ears of our business, and when we hear from you, it is the greatest gift we can receive as a network. Your feedback is the main reason why our mobile app advertisers, PPC media buyers, and content locking publishers perform better month after month. They are a PPC and CPA advertising network that focuses on providing the most value POSSIBLE to our mobile and web publishers and advertisers. The #1 CPA Network in the world. For over a decade, MaxBounty has been redefining the meaning of trust between advertisers and affiliates. MaxBounty is an industry leading performance marketing network connecting trusted and skilled affiliate marketers with vetted high paying advertisers on a cost-per-action basis. PeerFly is a one-of-a-kind cost-per-action based affiliate ad network. Unlike other affiliate networks, our software is custom built from the ground up so we don't depend on unreliable hosted mechanics. We currently accept publishers from all countries, in any vertical, and almost any type of traffic. Because of our small independent network, we're able to minimize our commission and give you the maximum allowed payouts. We also guarantee to match or pay out more than any other network.